These dragon fighters stretch an impressive 11 inches! The crescent moon shaped blades are forged from 440 Stainless Steel, finished in blood red, and lock securely into the cast metal dragons. 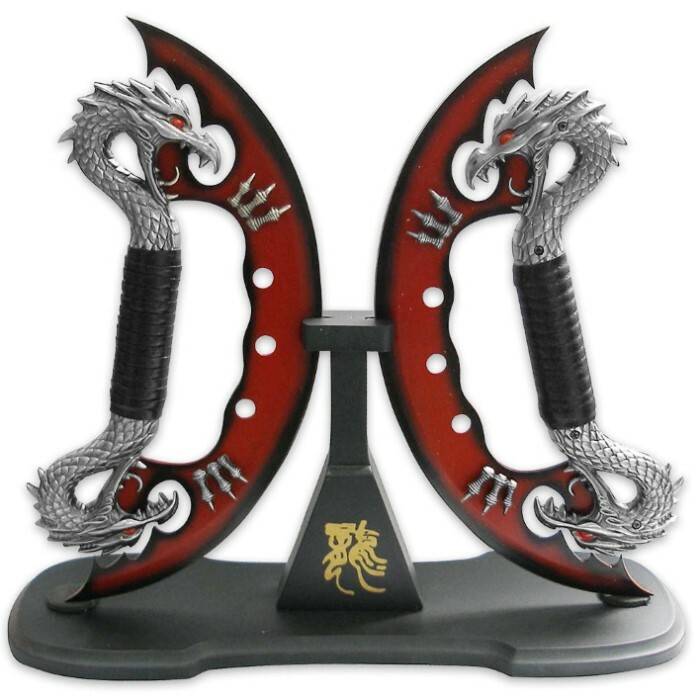 Screaming dragons with eyes of fire and claws adorning the custom blades, there is nothing else like this. Includes hardwood display stand with logo.